Many of our clients lose their licenses, for one reason or another. This creates an enormous inconvenience. People rely on their vehicles to get to them to school, work, and the grocery store. Without the ability to drive, many people have to rely on public transportation, which isn’t ideal, to say the least. If you were planning on travelling any great distance to visit family for the holidays, now you can’t go anywhere. Because of the inconvenience, many people are tempted to get behind the wheel anyway—suspended license or no suspended license. Chances are, they think they won’t get caught, or they aren’t afraid of the legal consequences. Actually, they are taking a huge risk, which carries some pretty severe penalties. Furthermore, getting a felony conviction carries collateral consequences, such as losing your right to vote and the ability to own a firearm in Florida. Your criminal record will also show up if you try to rent an apartment or apply for a job, which can make landing on your feet after you get out of jail that much harder. If a judgment or order of suspension appears in the department’s records, then there is a rebuttable presumption that you have knowledge that you should not be driving. A “rebuttable presumption” means that you must present evidence that you lacked knowledge of your suspension; if you don’t, then the state has proved that element. If you truly lacked knowledge, then under the statute you can be guilty of only a moving offense, which would be much preferable to a misdemeanor or felony. If you have been picked up for driving on a suspended license, you need to start building your defense right away. Call Bundza & Rodriguez today. 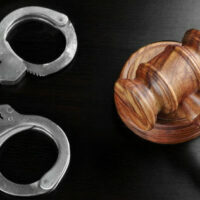 Our Daytona Beach criminal defense attorneys can analyze your case and try to punch holes in the state’s case. Reach out today by calling 386-252-5170. Avoid delay.